One station at the GIS Day 2010 in Salzburg on november 19th was directly related to the GEOKOM-PEP project. 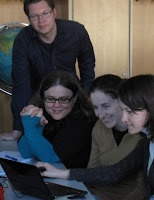 In the summer of 2010 Lisa Sönser and Noemi Müller (pupils at the age of 17 from two partner schools) worked at the GIScience institute in the framework of internships. They conceptualized a first prototype of an online communication platform for participative and collaborative spatial planning which is supported by digital maps. At the station "Neues Schallmoos: Web2.0, digitale Karten und viele kreative Köpfe" they reported about the recent project progress, presented this prototype and discussed about the concept and possible improvements. 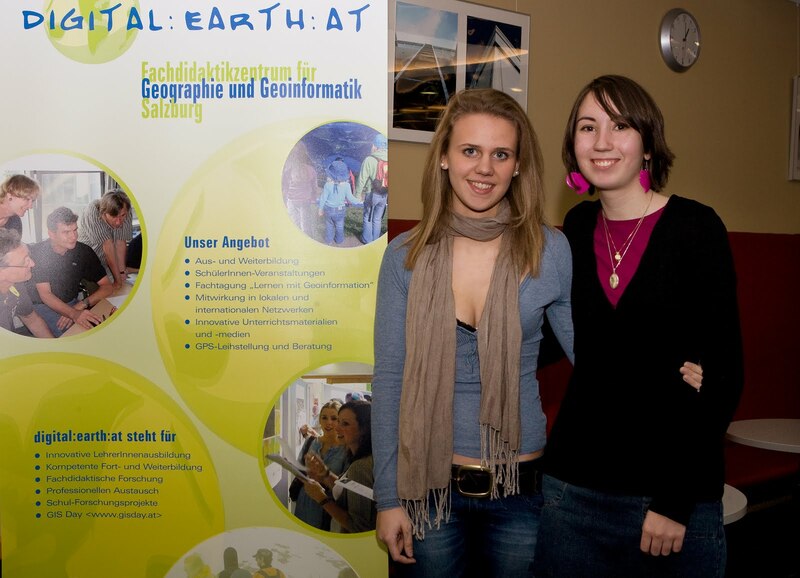 On November 19th, the digital:earth:at organized GISday events at Techno-Z Salzburg have drawn some 400 pupils from schools from Salzburg, Upper Austria and Bavaria. Presentations and workshops largely relied on staff from all research cluster institutions (Z_GIS, ÖAW-GIScience and iSpace) as well as partners from both public institutions and corporations. For more images, please refer to the GIS Day homepage and report. http://www.gisday.at/mitteilungen/2010/lernerlebnismitgeoinformation-daswardergisday2010insalzburg. From today, all teachers, regardless of subject, now have the chance to earn a certificate in 'Learning with Geoinformation'. This set of 12+12 ECTS electives is jointly offered by the University of Salzburg with the Pedagogical University and the Austrian Academy of Sciences, and accessible for pre-service as well as in-service teachers. Geospatial media are acknowledged as valuable, effective and challenging learning environments in Geography, Ecology, History, Science, Computing and many other disciplines. As an innovative teacher training initiative, the 'Learning with Geoinformation' programme is an integral component of the Digital:Earth:AT framework for learning and teaching excellence in Geoinformatics and Geography.